Discover our full range of hair colouring services. Balayage, Ombre, Highlights, Fashion Colour, Rainbow Hair – let our stylists create your next look. A half head to a full head of foil highlights lift existing hair colour and brighten the face. They can be dramatically placed or more delicately placed for a subtler look, depending on how you’d like them. We love the way they shape the face and shimmer in the sun! Not just for blondes, you can lighten up your auburn hair with richer red highlighted pieces. Babylights are the super soft ultra-thin highlight that looks like you didn’t spend hours in the salon chair. They soften the roots and allow you to experiment with colour! It is a low maintenance look that we love as it grows out softly! Want to find that perfect tone for your hair? We offer a range of permanent and semi-permanent colours. Whether it’s an all-over colour you are lusting after or you simply need to touch up that pesky regrowth, we have you covered! Balayage is a free-hand technique that creates beautiful natural looking highlights – great for adding depth and texture to the hair, while still looking natural and soft. Think sun-kissed looking colour with less noticeable regrowth lines. Ombré is the gradual lightening of the hair strand, from a darker to a lighter colour – with the ends of the hair being the lightest! Create a subtle Ombré to light up your face, or raise eyebrows with a bolder lighter look. Let us create the perfect colour for you! Bleaching hair means that we can create creamy blondes or use it as a base for bright coloured toners for dramatic and statement looks. 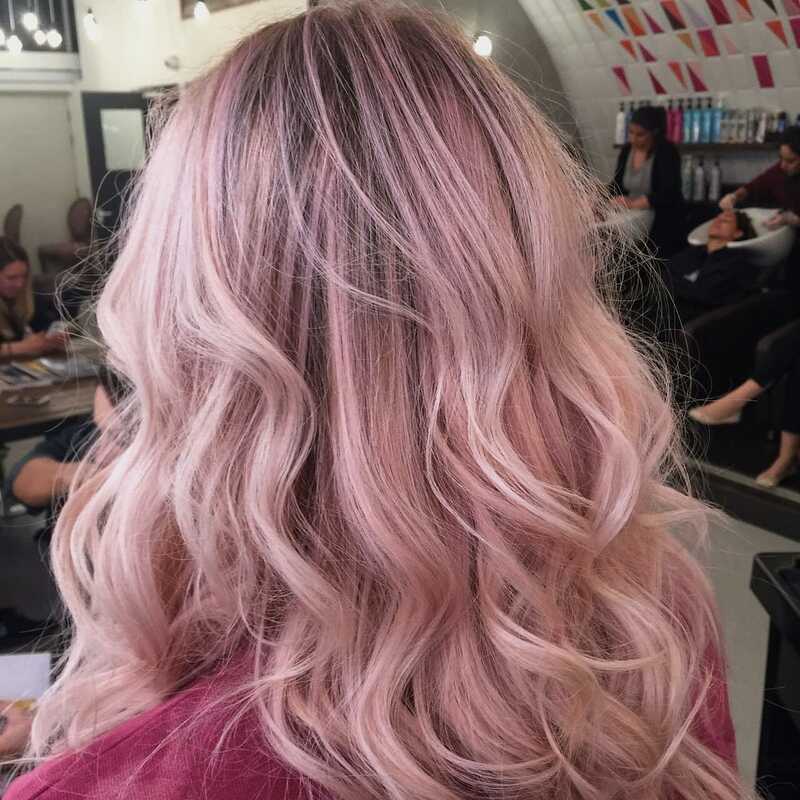 Whether you want to lighten your darker locks with balayage, rock purple hair, or achieve the perfect blonde hue, we use a gentle bleach to reach your perfect colour! Fashion colours are always on-trend, designed to create the most beautiful tones or soft hues. Whether you’re after that perfect ash or a rose gold – we have a range of amazing colours. From rainbow hair to candy cotton pinks, experiment with colour and create a playful look, or striking a statement!